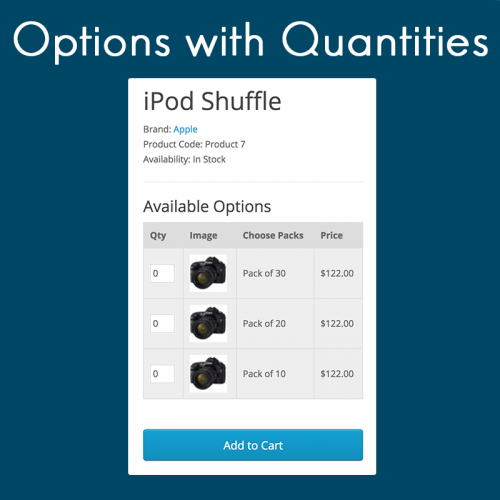 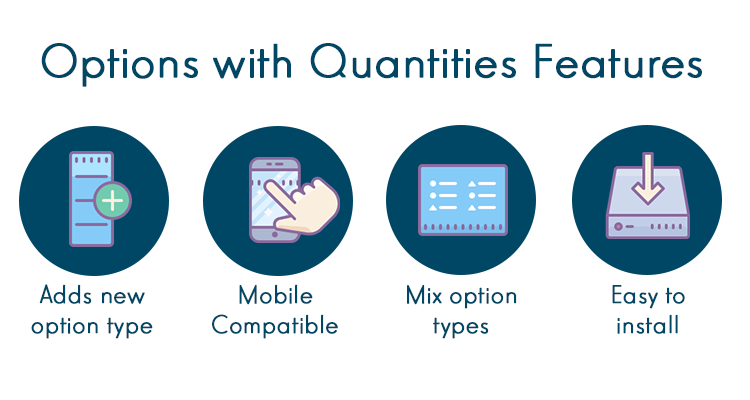 Options with Quantities allow your customers to shop quickly. 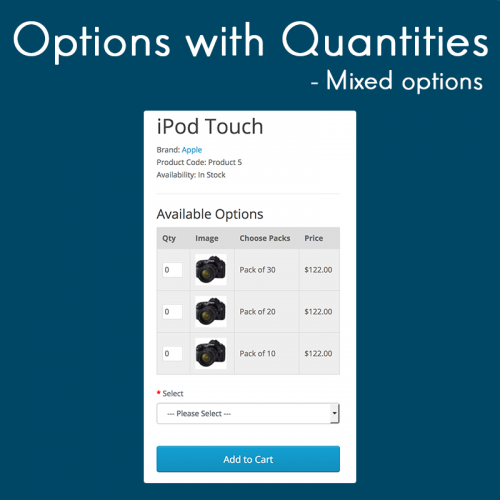 They can add multiple quantities of different options choices to their cart in just one single click. 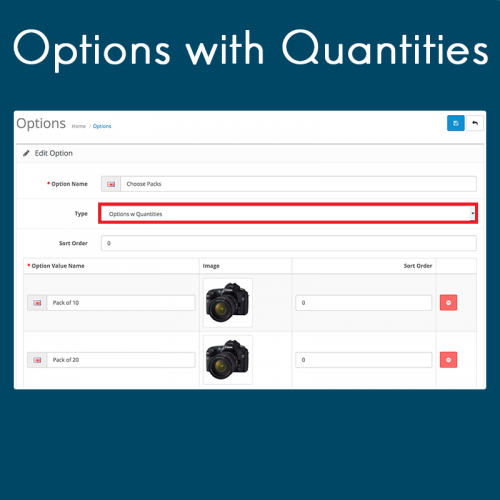 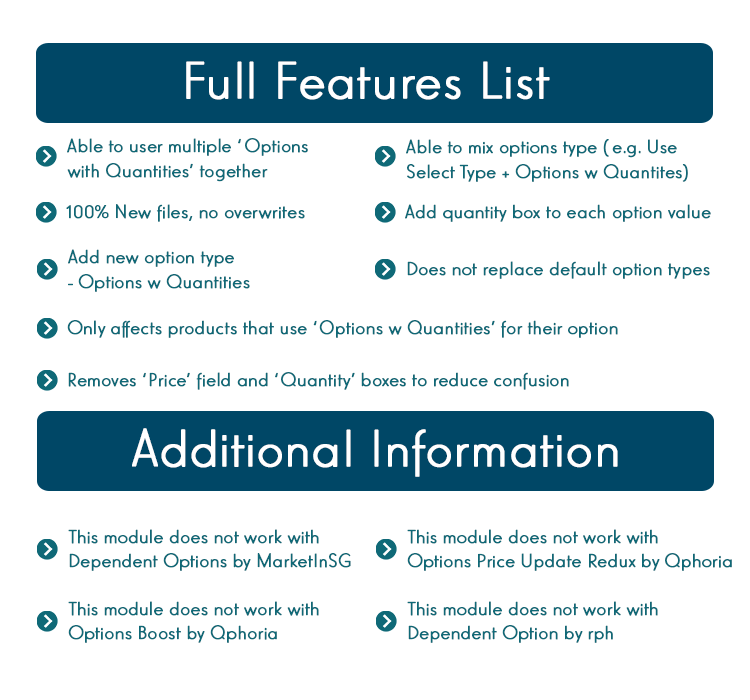 This modification will give each option value a quantity box.